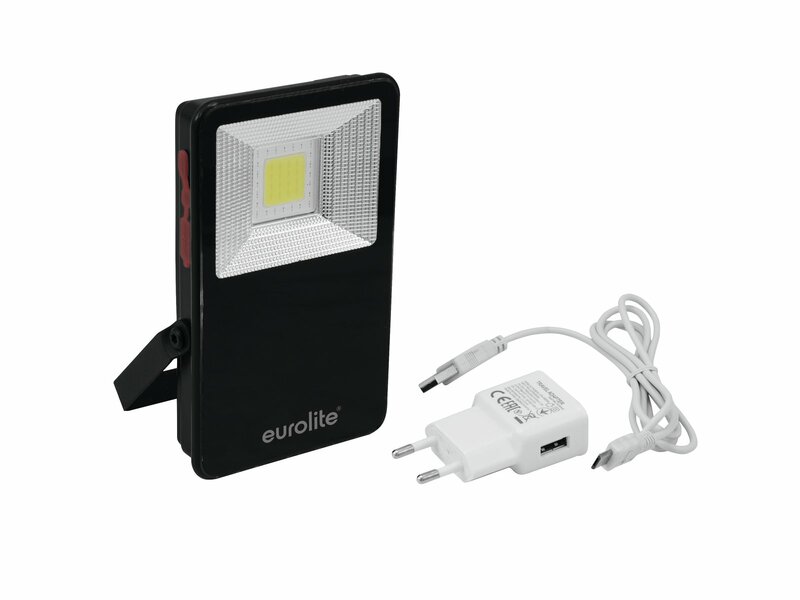 The AKKU LED FL-10 by Eurolite is a portable LED floodlight with power bank. 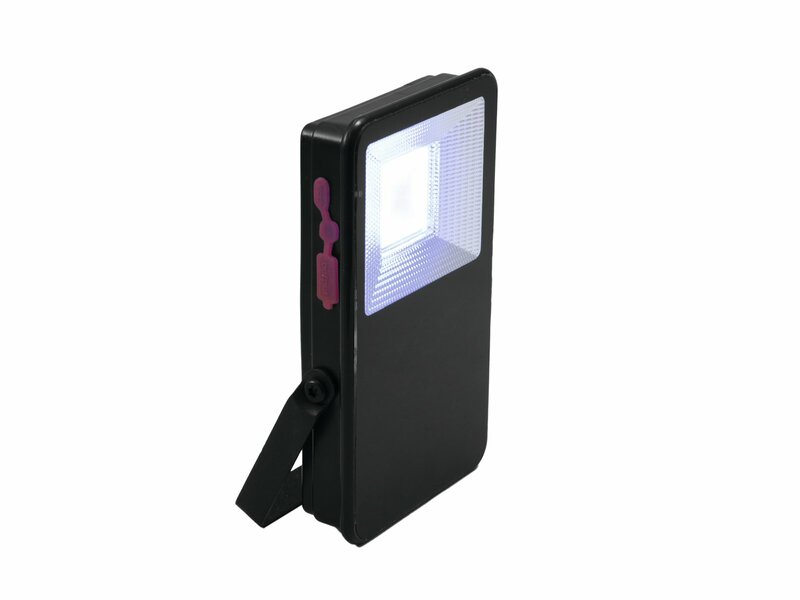 The weatherproof enclosure accommodates a super bright LED and a USB power bank which allows charging smartphones and other devices on the go. The built-in rechargeable Li-ion battery provides up to 12 hours continuous operation and can be charged via the included power adapter or via a USB power source. 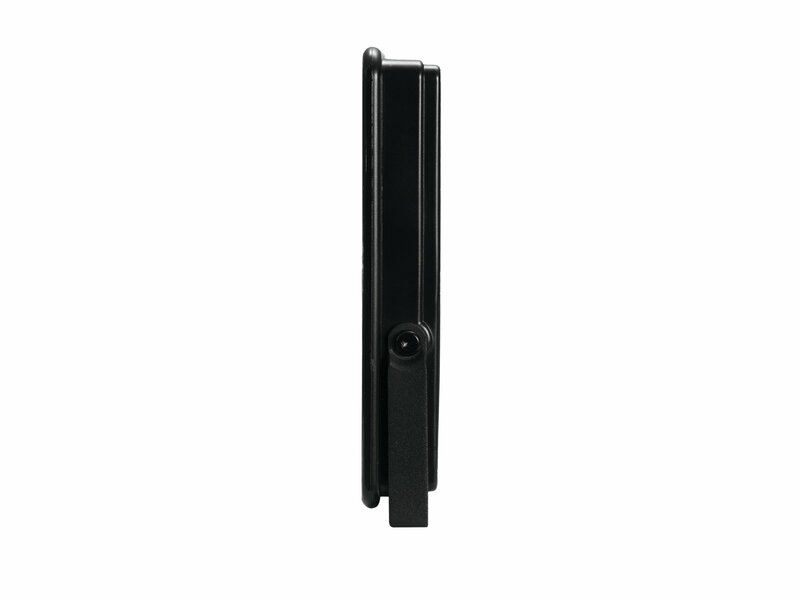 This product is fitted with an LED that consumes little power, has an extremely long service life and develops little heat. 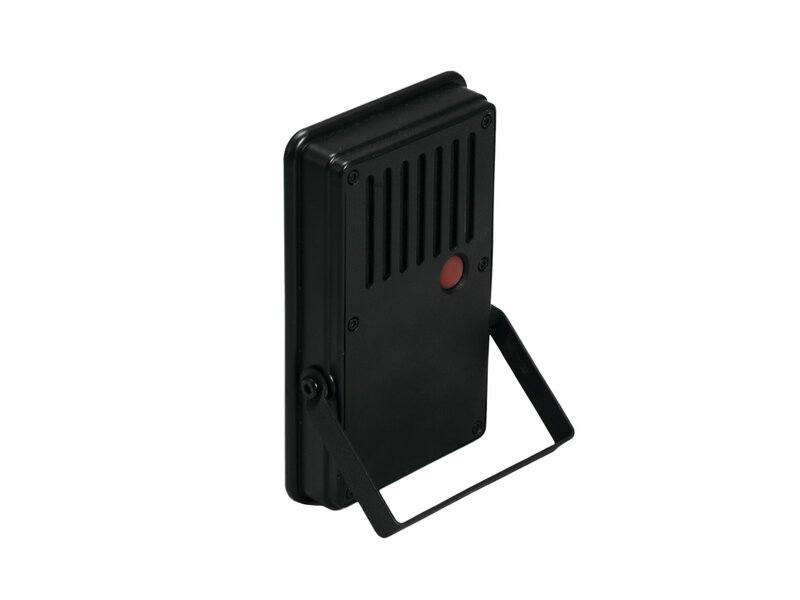 Use the red push button to control various functions of the LED floodlight: light on with 50 % output, light on with 100 % output, SOS emergency signal (various programs with red, blue and white flashing) and light off. 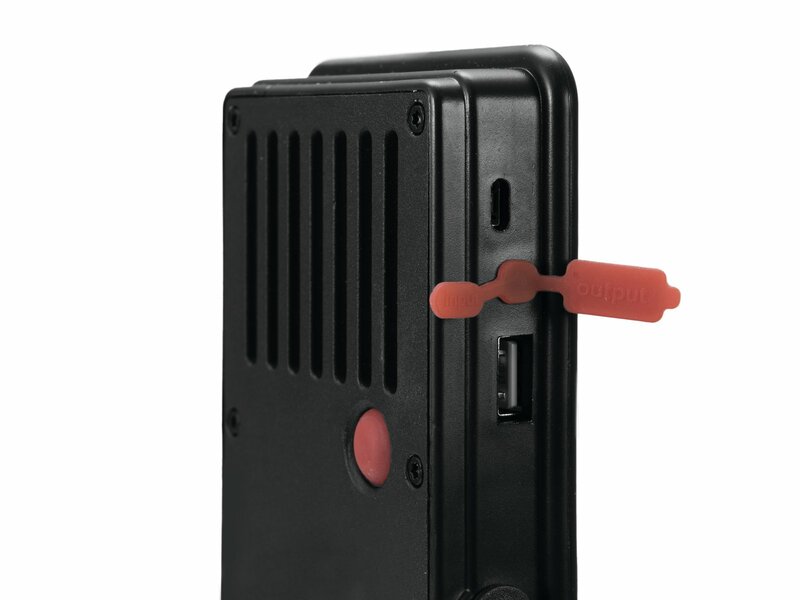 The power bank allows you to charge the batteries of mobile devices (max. 5400 mA) such as smartphones and tables that are designed to do so and have the necessary USB connection. The delivery includes the LED floodlight with built-in recharcheable battery, USB cable, power adapter and user manual.